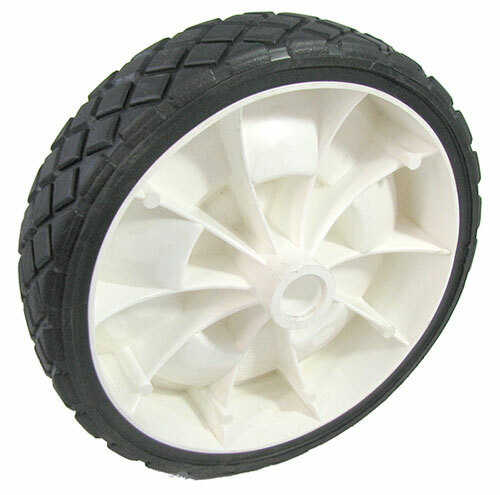 White Plastic Lawnmower Wheel 6"
1 - 3 $3.50 ea. 4 - 12 $2.95 ea. Would be yellow, no? Yes, but you could put these nifty white plastic wheels on anything you like. You've seen lawnmower wheels? That's what these are like. Measure 6" dia x 1-7/16" thick with hard black rubber treads, a 1/2" axle bore and a 13/16" x 1/4" hub on the opposite side. 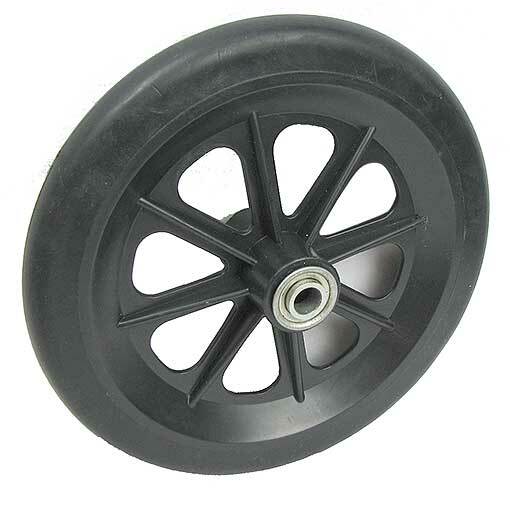 You're reviewing: WHITE PLASTIC LAWNMOWER WHEEL 6"